Learn The Simple Secrets To Making Homemade Candles. Learn Candle Secrets and More! 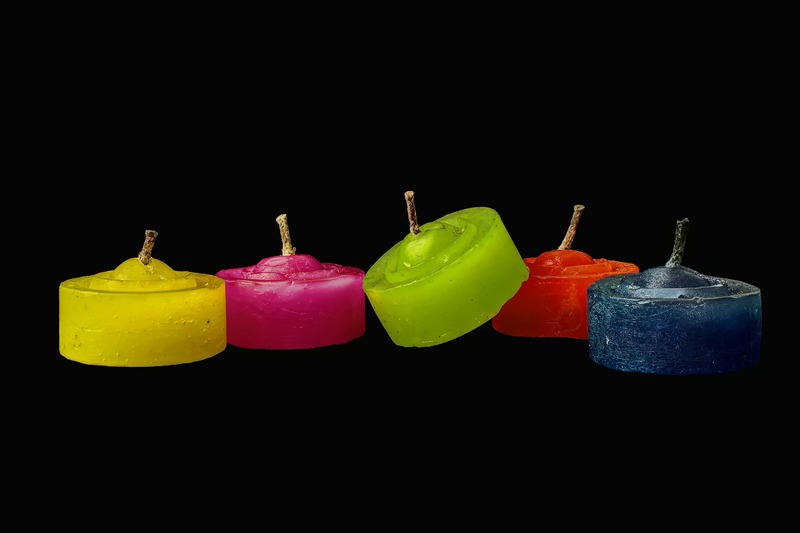 Candlewhiz.com teaches you, using simple directions, diagrams and guides, exactly how to make your own candles easily! This chapter talks about safety, waxes, dyes, fragrances, wicks, moulds and equipment needed for candle making. It’s a pretty straight forward section and although the new information may be overwhelming at first, if you just take a deep breath, the information will come to you easily. Making candles is really easy to do. The trick is to be organized. When you are organized and when you love what you do, everything is easy. This section describes using simple steps and over 90 visual diagrams, how to make candles. You will learn many different types of candles. None of the candles in candlewhiz.com are complicated or intricate. So you don’t need to be an artist to make the candles. Surprisingly, without being an artist, you can in fact make some really artistic candles easily. For example, when you make ice candles, the ice does all of the work for you! The results are really stunning candles. Even jam jar candles have a certain quality to them that can really add flavour to any room. Candles don’t have to be complicated and candlewhiz.com is designed to be an introductory guide to candle making. For some, candlewhiz.com is all they will need to make the candles they want. For others, candlewhiz.com will be the stepping stone to greater and more intricate candle making pursuits. There are many reasons why people want to make their own candles. For me, the reason why I make my own candles is because I like to combine candles with aromatherapy. If I were to buy candles, then it is possible the candles use synthetic scents and I personally prefer natural scents. When I make my own candles, I can control not only the quality of the essential oils used but also the combination. I must admit, like many people I like vanilla or cinnamon the best! When I make my vanilla or cinnamon candles I need to remind myself that candles are not meant for eating! It is amazing to know, but even at the North Pole, scientists are able to detect in the air the scents from parfumes and colognes. This is because these aromas are synthetic (man made) and don’t easily break down. As a result, these artificial aromas float around the world with the air currents. Due to the fact that many synthetic parfumes don’t break down easily, this is perhaps also why many people have allergies to these scents. Myself, I don’t like parfumes or colognes including aftershaves and there is nothing worse than being stuck in an elevator with someone who has on too much parfume because ironically, instead of making them smell good, they stink! We all should have candles in case of an emergency such as a power outage. If your only reason for making candles is for this very reason then you might as well just buy candles. But if you are wanting to not only have candles for their practical reasons but also for their beauty and artistic qualities, then candlewhiz.com is going to be of great benefit to you! For those that don’t know, parfume is a French word. In some English speaking countries people will spell the word as “perfume”. By to be proper, the word is “parfume”. Parfume is a French word that literally means “by smoke”. Par is French for “by” and fume is French for “smoke”. In days gone by, parfumes were essentially incense used in such places as churches. Then more recently in time, parfumes became as we know them today. But the origin of parfumes still lies in the creation of aroma through smoke. So when you make your own scented candles you are, in a way, making your own parfume! Candlewhiz.com is designed to provide you with simple and easy to understand information so you can make your own candles! No big words are used here… and I will not be using any words that are difficult for me to type! So have fun and enjoy candlewhiz.com! Candlewhiz.com is a free online resource for candles, candle making supplies, and tutorials on how to make candles!